A sustainable manufacturing system design can be defined as a process aimed at minimising the negative aspect of both economic and ecological costs. This may be partially achieved through the implementation of lean manufacturing methods in order to reduce production wastes, increase efficiency of manufacturing systems and minimise operational costs. Nevertheless, the concept of lean methods does not include environmental considerations in terms of such as energy consumption and CO2 (carbon dioxide) emissions, which are also important factors today for developing a sustainable manufacturing system. This paper addresses these issues involved in modelling a sustainable manufacturing system allowing an evaluation in energy consumption and CO2 emissions against the total cost using the multi-objective approach. 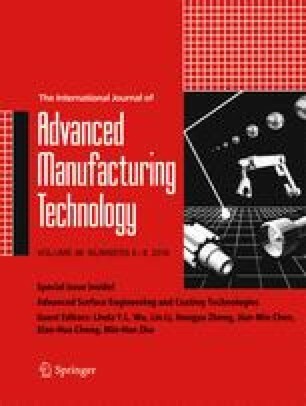 In this work, a multi-objective mathematical model was developed based on a manufacturing system incorporating its economic and ecological parameters towards a minimisation of the total cost, the total energy consumption and CO2 emissions associated with relevant machines, air-conditioning units and lighting bulbs involved in each manufacturing process and material flow. The model was coded using LINGO11 to help gain optimal solutions using the ε-constraint approach and the LP-metrics approach, respectively. The best solution among obtained optimal results was revealed using the max-min approach. Applicability of the proposed method was also examined using collected data from a real case study. The study concluded that the multi-objective mathematical model was useful as an aid for optimizing the manufacturing system design under the economic and ecological constraints. The authors would like to express their gratitude to the Ministry of Education in Saudi Arabia for the financial support in this study. Also, the authors would like to thank the anonymous referees whose thorough reviews and insightful comments made a valuable contribution to this article.